By Tom Eames in Smooth. Craig Logan was one third of the biggest boyband of the late 1980s, Bros. But he soon quit the band, leaving Matt and Luke Goss as the sole members. But what has he been up to since? Craig began his career as a bassist in the pop band Bros. His nickname while in the band was Ken. Bros formed in 1986 in Camberley, Surrey. 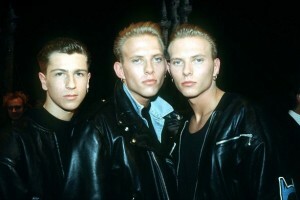 The band consisted of twin brothers Matt and Luke Goss, alongside Craig, who all attended Collingwood School in Camberley. The group achieved huge chart success and a large teenage fanbase in 1988, with hits such as ‘When Will I Be Famous’ and ‘I Owe You Nothing’. In 1989, Craig quit the band, and the band split up in 1992. They reunited for tours in 2017, but without Craig.